The notion that public space is a key point of entry to sustainable development in an urbanizing word is gaining greater recognition as national and local policy makers, professionals and civil society actors advance towards the United Nations Conference devoted to Adequate Housing for All and Sustainable Urban Development, which will also discuss the theme of public space for our cities. In September of this year, the UN General Assembly will adopt a new set of Sustainable Development Goals (SDGs) to succeed the 2003-2015 “Millennium Development Goals”. The SDGs will constitute the global agenda for development cooperation and a clear policy guide for national and local governments. Most important to us in the provisional SDG list is Goal 11 – “Make cities and human settlements inclusive, safe, resilient and sustainable”. One key paragraph (11.7) reads: by 2030, provide universal access to safe, inclusive and accessible, green and public spaces, particularly for women and children, older persons and persons with disabilities. The European Commission participated actively in drafting the SDGs and emphasized the need “to tackle the intertwined challenges of eliminating poverty and improving well-being, while ensuring that progress is sustainable within planetary boundaries”. The Biennial of Public Space is one of many organizations that can draw satisfaction from these preliminary milestones. a bridge between “old” and “new” citizens, all of whom, and particularly the latter, highly value access to quality public space in their new living environments. a bridge between “urban development” and “rural development” which recognises public space as a key feature. The round table was divided in two parts. The first part was devoted to the accomplishments and challenges of local governments and their global and national associations in securing adequate public space as a foundation for sustainable urban planning and governance. The second part was directed to other actors relevant to the Habitat III and Sustainable Development Goals processes for two opposite reasons: one (the Italian Ministry of Infrastructure and Transport) with an institutional vocation to cover Habitat conferences; and the others (FAO and the Rome Sapienza University) as two important institutions located in the Biennial’s host city whose mandate was only apparently distant from the goals and mandate of Habitat III and of the “urban” sustainable development goal. The round table was introduced by the UN programme responsible for Habitat III preparations, UN-Habitat and by UN-Habitat’s local government partner, the United Cities and Local Governments Organization. Both presented the status of their on-going preparations, which were to a large extent synchronized. UN-Habitat, in addition to a relevant number of policy studies being conducted in no less than 22 topics, relied on preparations at the national level, which were traditionally led by central-government agencies. UCLG was engaged in the process with its vast constituency but pointed out the unresolved challenge of action plans approved by central-government agencies with actual implementation falling on the shoulder of local governments. The cities of Porto Alegre, Brazil, and Bogotá, Colombia, had been selected by UCLG to present exemplary practices of international cooperation and public-space led styles of urban governance. Porto Alegre stressed the connection between public space and democracy, and a consequent style of governance based on the local devolution of both resources and decision making powers, coupling municipal budget allocations with synergic resource mobilization strategies. Bogotá displayed its impressive public space generation and management policies based on redressing public-space supply inequalities revealed by systematic city-wide surveys. There, the donation of fifty per cent of land to be developed for public space was a standard procedure. The city of Nairobi representative had been selected by UN-Habitat to exemplify an upward trend in municipal planning practices after decades of institutional neglect and haphazard development policies and practices. The road ahead was still long, but the importance of connecting to the good practices and examples from other cities, thus stressing the value of “horizontal cooperation”, was clear. 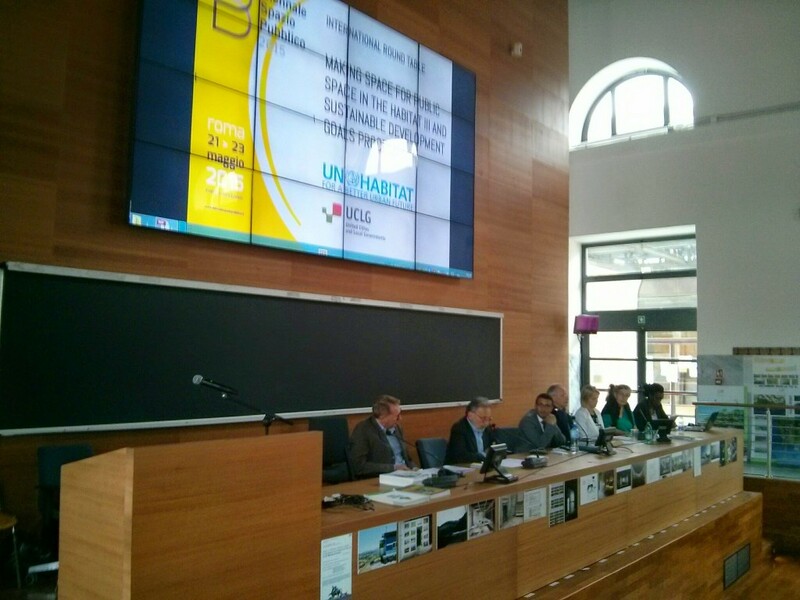 The representative from the Italian Association of Municipalities pointed out the paradox that the persistent absence of a EU urban agenda and the decline of specific funding for urban projects had forced cities to become more self-reliant and to concentrate on priority problems. However, progress was made difficult by the persistence of three problems – insufficient knowledge of urban situation, challenges and solutions; lack of a clear vision; and reliance on out-dated planning models. The representative of Italy’s central government pointed out his ministry’s role in encouraging and supporting advanced local urban development strategies and the still insufficiently recognized shift from massive infrastructural projects to local, small-scale intervention more responsive to citizens’ immediate needs. He also assured the Ministry of Infrastructure’ commitment to national preparations for Habitat III. The Sapienza Università di Roma representative announced the holding of a conference to be held on 27 November of this year to develop support from the international higher-education and research community for the implementation of the sustainable development goals. FAO indicated its interest in supporting Habitat III for the dual purpose of guaranteeing food security and adequate nutrition for growing urban populations and improving environmental, social and economic flows between urban, peri-urban and rural areas. Public space and food did not have to compete, but could be integrated by sound urban planning. 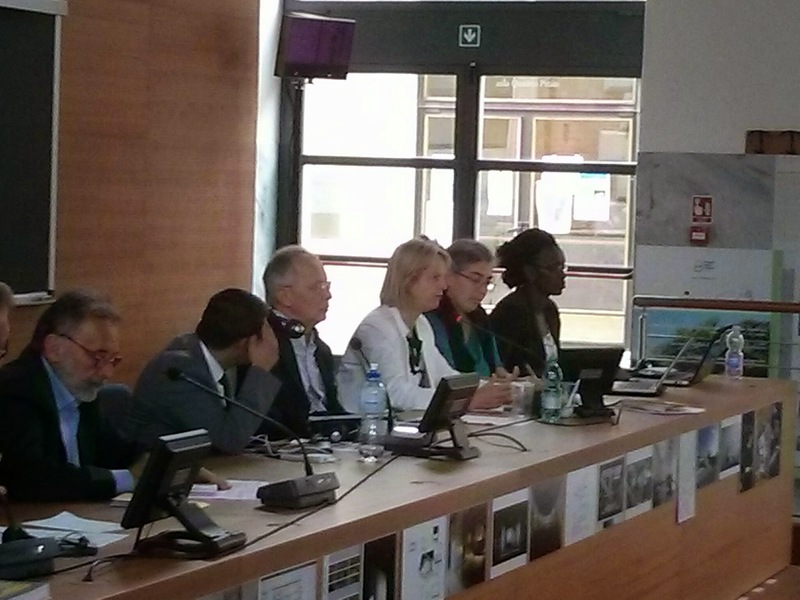 A “city region” food approach would be effective in bringing stakeholders together and reaching effective solutions. 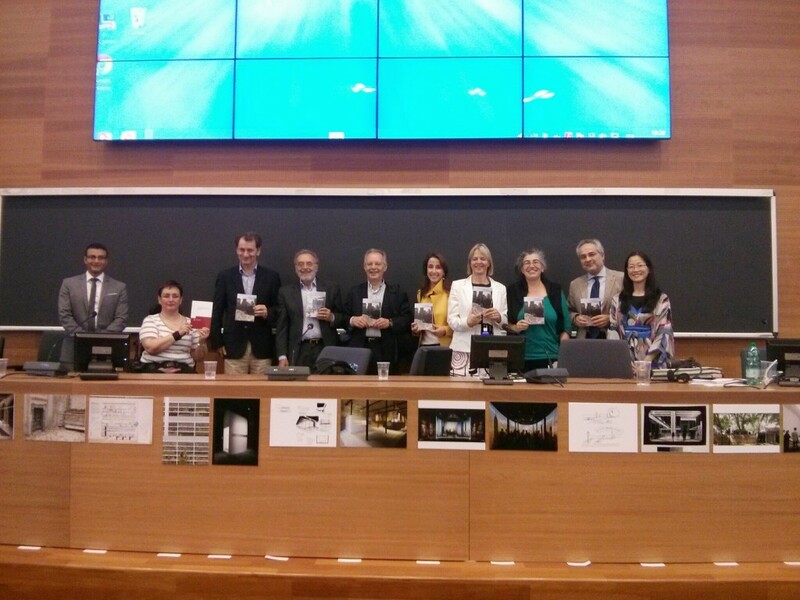 In order to energize the national preparatory process for Habitat III, it was decided that the celebrations for Habitat Day on 5 October 2015 would be devoted to a public assembly of interested actors and stakeholders from all sectors of society and all interested institutions to define the Italian contribution to the Conference.